Heading to Atashika Beach and preparing for our camping tools (tents, foods, swimming gears) were time-consuming but all worth it when you arrived at your destination! 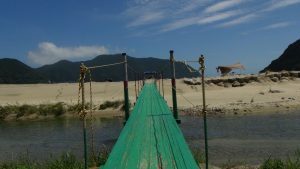 We always thought to drop by to this inland beach in Kumano when we are going to visit in-laws and been keen to take a dip with the so-called, Japan’s cleanest beach in the south! Atashika! Now we can experience you, at last! The place Atashika Beach (新鹿海水浴場 Atashika Kaisui Yokujō) is in between Owase and Kumano. Surrounded by scenic views of the mountains and has magnificent waves that can make surfers go for a day! Caution also for swimmers for the strong currents may sweep you away further, so play with a caution of course! Since it was just days ago when that powerful typhoon hit us, the winds are quite fierce during the time. So after eating lunch, we decided to keep our camping gears (tents and all) and off we went to the beach. It was one of my favorite beaches in Mie and you will have an awesome moment, that is for sure! I haven’t heard of this beach, but it looks small and welcoming. What is Japan’s best known beach? Lovely beach! 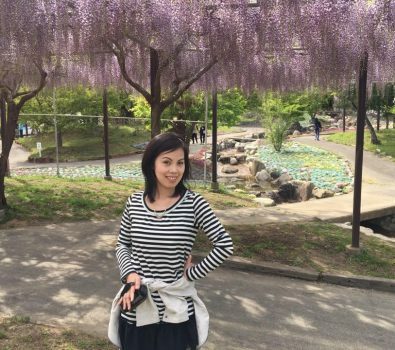 Japan sure is a beautiful place. So many things to discover! Beauty place and looks really peaceful, just like nature should be:) I hope one day i can visit! Looks stunning! I hope to visit someday. It looks beautiful, I wish we’d visited whilst in Japan! Goodness, it looks amazing there. Thanks for sharing! Thanks for sharing this! I wouldn’t associate Japan with beach holidays so this was very enlightening!! Wow, I’ve never heard of this beach but it looks so calm and serene. Very relaxing! Stunning. It really is a must visit I will add this to my bucketlist. 🙂 I visited several beaches in Japan during my visit and my favorite is Shirahama Beach in Wakayama. Shirahama is awesome! Will create another post about Shirahama. Thank you for reminding me, Neil! Looks awesome. thank you for sharing. Beautiful pictures. I would love to be there. This place looks like a perfect place for a family vacation. Love the serenity and calm surrounding the place. Looks like a great beach! Hope to visit sometime! I hope to visit this beach before it gets too popular and becomes over crowded, another spot on my Japan itenary to add! Thanks! I have never been camping, but camping on the beach looks fun. Where is this beach at? It is gorgeous. That’s definitely a dream worthy vacation. Kumano beach looks so clean and the water seems inviting. Can’t wait to visit! Looks so beautiful, def have to add this to my list! This looks like paradise. I never thought there are great hidden beaches in Japan. 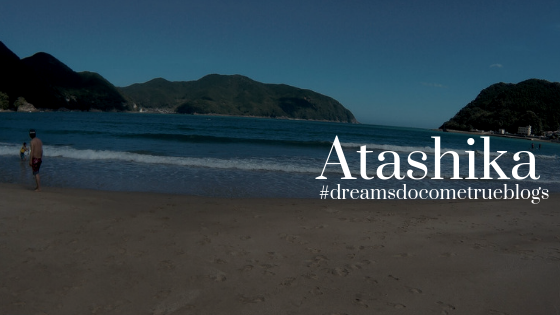 I will research more on Atashika Beach. Thanks for sharing such an informative post.